Sciatica. That awful feeling of pain, numbness, or tingling along the back of the legs. It can keep you up at night, make it hard to work, hard to sit for long, move around, and can be incredibly frustrating for those who experience it on an ongoing basis. But do you have sciatica? 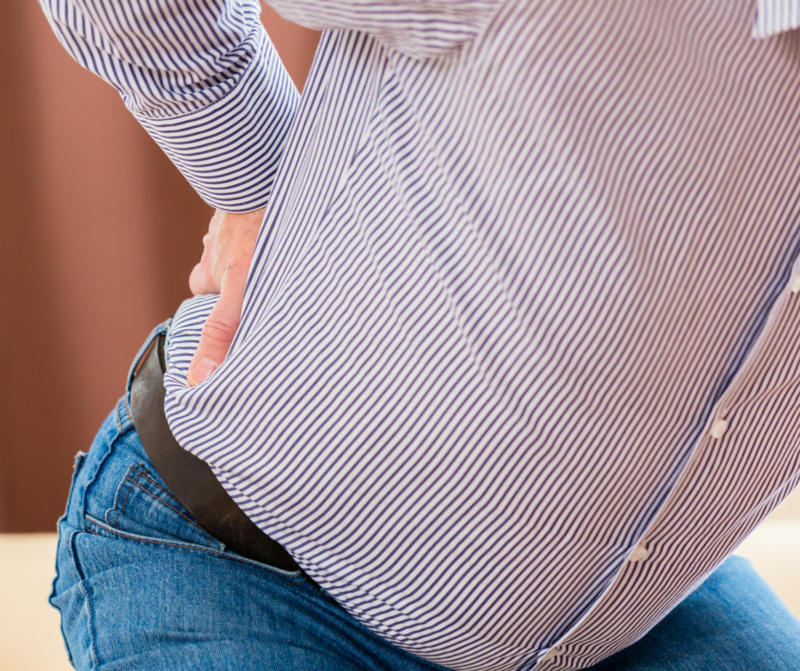 Only 5% of the population have true sciatica, which is a symptom of compression of the sciatic nerve. The sciatic nerve runs from your lower spine, and passes through the pelvis and out down the back of the leg. Compression or irritation of the sciatic nerve can occur through damage to one of the discs sitting between the vertebrae of your spine, such as a herniated (bulging) disc, or disc degeneration (break down). If you have had an MRI, CT scan, or spinal x-ray and issues with a lumbar disc have been confirmed, sciatica may be diagnosed. If no issues were found to be present, there is a chance that what you are experiencing is in fact piriformis syndrome, where the piriformis muscle is the buttock muscle spasms and irritates the sciatic nerve in your pelvis, causing symptoms very similar to true sciatica. It is possible to have true sciatica as well as piriformis syndrome, so the following treatment options may be helpful even if you do have an official diagnosis already. The focus is gently stretching the piriformis, hamstrings, and hip extensors to help relieve the pain and symptoms you are experiencing. Stretches should be done 3 times a day if possible. Hold the stretches for 5-10 seconds. After this try to push the stretch a little further and hold for another 10-20 seconds if you can. You may need to work up to holding the stretch for this long. Lay on your back (on a cushioned surface like your bed if you need to) with knees bent and feet on the ground. Bring your right knee up to your chest, then with your left hand pull your knee slowly and gently towards your left shoulder until you feel discomfort, but not pain. Repeat for the other leg. In the same position on your back with knees on the ground, bring the outside of your right ankle across to rest on the top of your left knee. Then wrap both hands under your left thigh and gently and slowly pull up towards your chest. Repeat for the other leg. Sit on a chair, with another chair opposite you. Place one foot up on the chair with a straight leg (but soft knee). Gently lean forward with a straight spine until you feel the stretch down the back of your leg. For some simply having their foot on the chair is stretch enough. Repeat on the other leg.